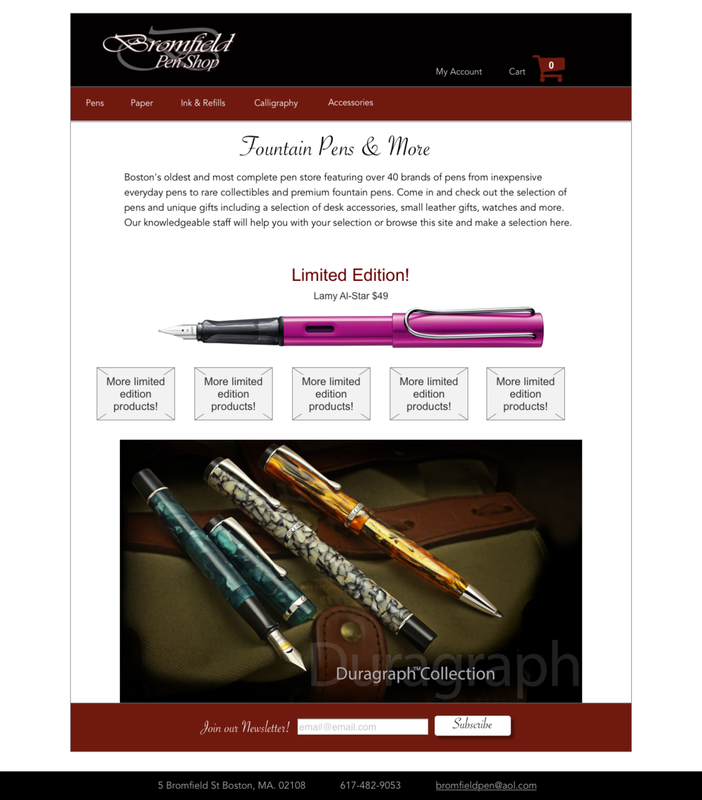 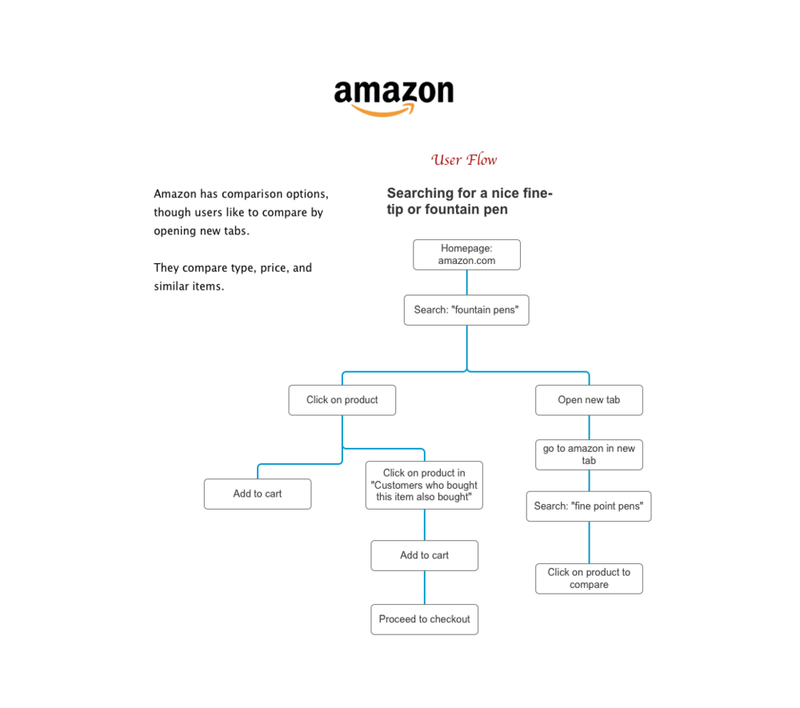 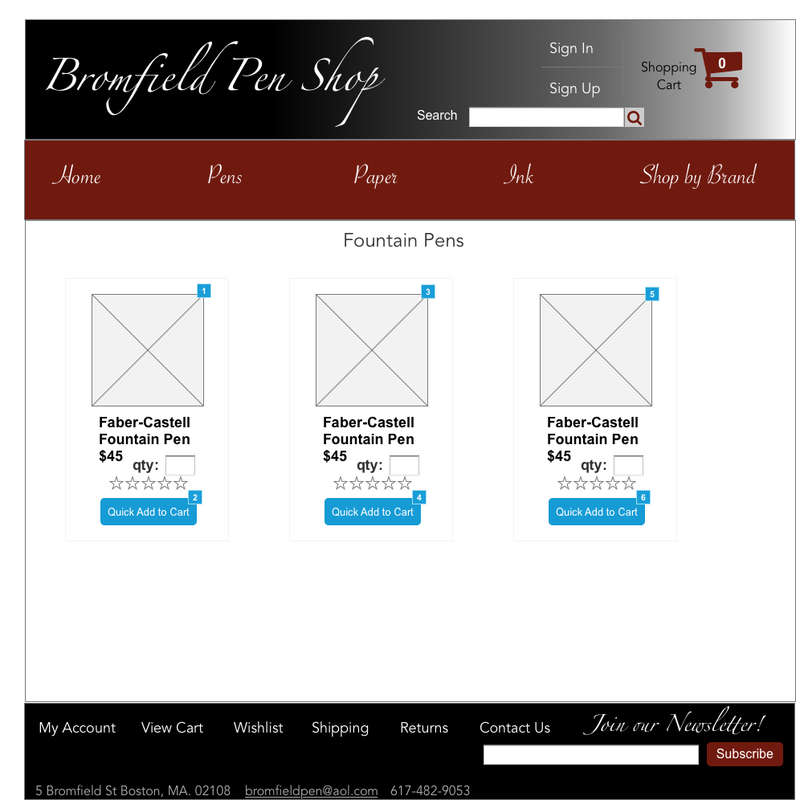 Over the course of 2 weeks, I designed an e-commerce prototype based on 100+ products at Bromfield Pen Shop in downtown Boston. 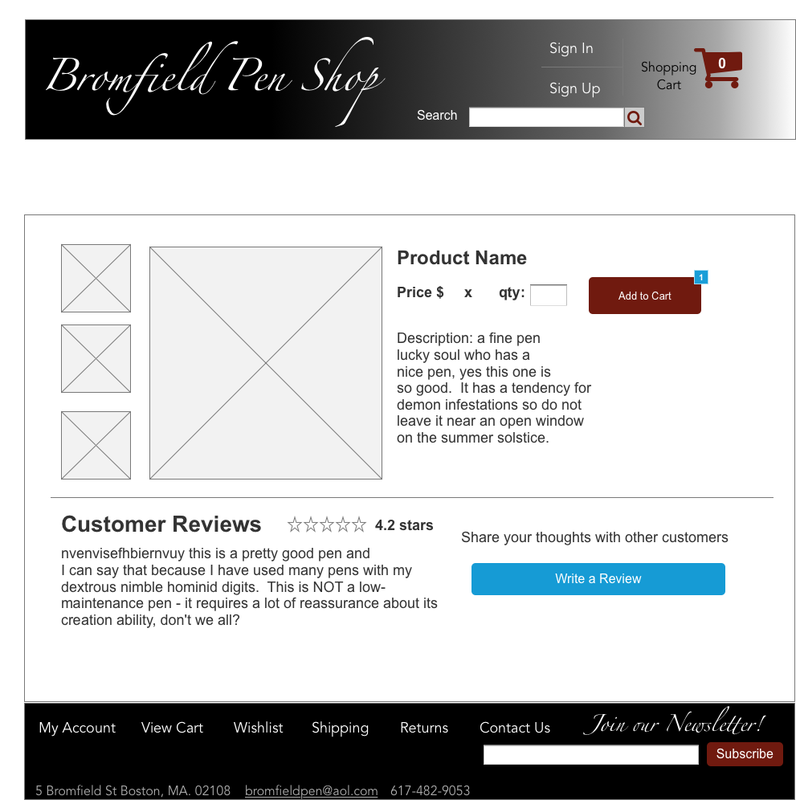 User interviews and card sorts gave me a sense of user goals, motivations, and purchasing methods. 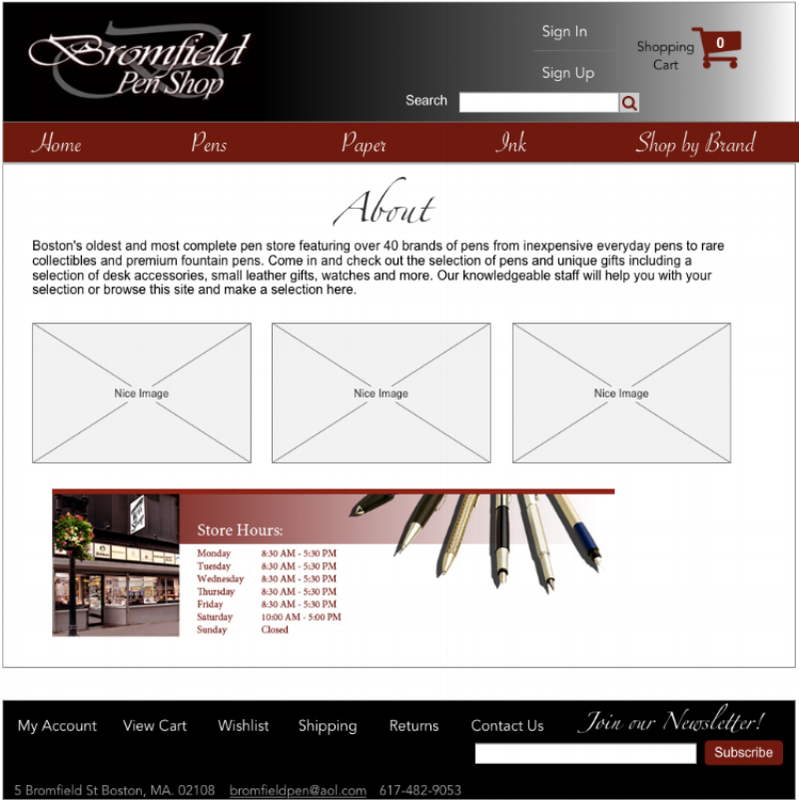 Competitive analysis and Bromfield's branding drove the design, while usability testing focused on the interactive functionality of the shopping cart and checkout process. 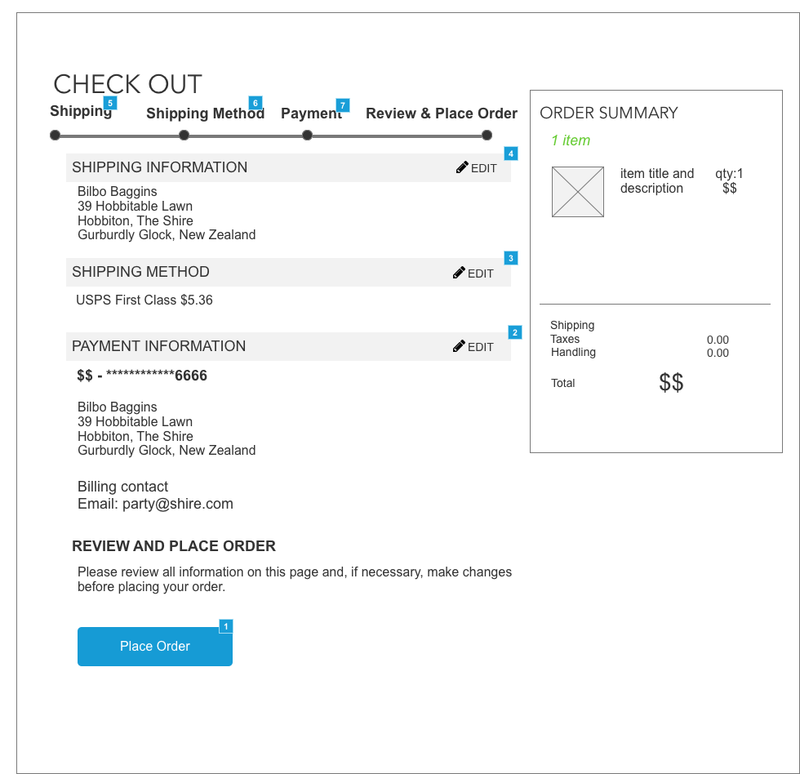 I focused on making a flexible checkout process by including a progress bar and allowing the user to easily return to a previous section, or create an account if they wished. 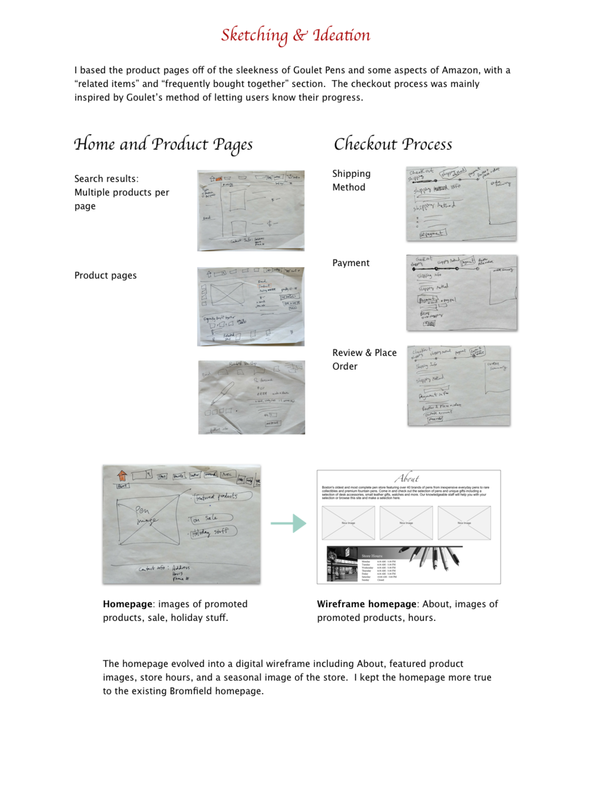 This particular project gave me an appreciation for both usability testing and penmanship.